For the first time, ever, G-Shock has partnered up with NYC bicycle shop Cari & Co. to bring us a limited edition of their famous watch. The Chari & Co G-Shock GA500K-3A brings elements of the G-Shock, as well as properties of Chari & Co. to bring us a stunning, yet rugged, timepiece. 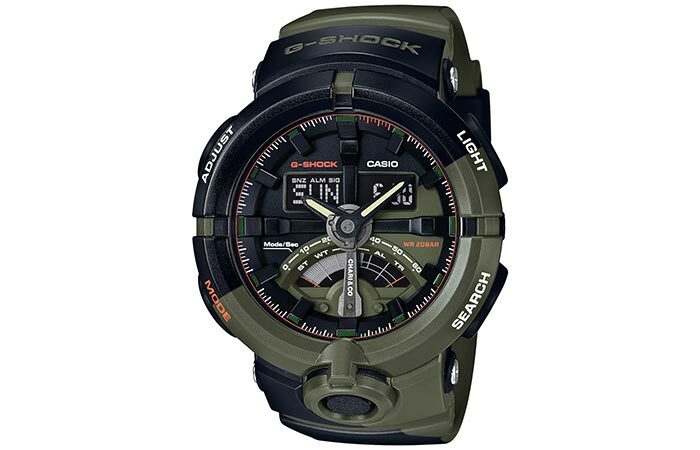 The GA500K-3A features a case design with green, black, and orange colors. These were inspired by the uniform colorways of Chari & Co. riders around the world. The entire design was inspired by elements of Chari & Co. rider uniforms all over the world. 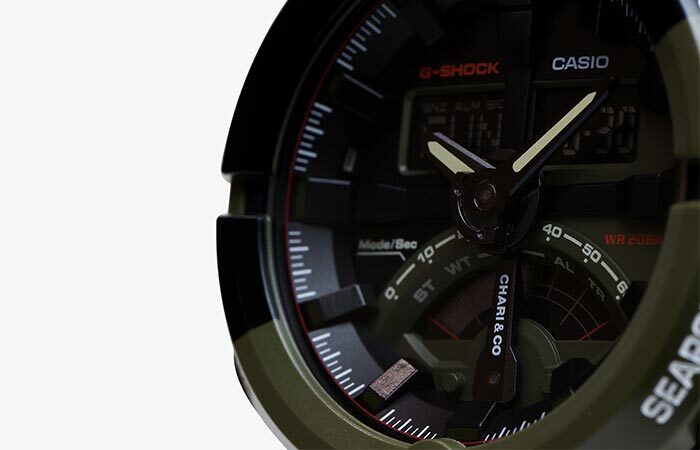 Of course, as a testament to G-Shock’s legacy, it would not be complete with some astounding technical specifications. The GA500 is shock resistant, and water resistant up to 200 meters. It also comes with an LED light with Afterglow, as well as world time with 31 timezones. Furthermore, it comes with a 1/100 second stopwatch that has a measuring capacity of 23:59’59.99”; and elapsed time, lap time, and split time, measuring modes. Check out the video below. The ruggedness of G-Shock, with the style of a bicycle shop, brings us an amazingly stylish and functional watch. It also has a countdown timer with a range of 60 minutes, and a hand shift feature that moves the hands away from the LCD screen during measurements. Of course, it also has a full auto calendar, 12 and 24 hour formats, and a 3 year battery life. In total, the GA500K-3A measures in at 57.6 x48.9 x 17.1mm and weighs 75g. Get it from G-Shock here.